There is not a clear line between for-profit and nonprofit organizations when it comes to accomplishing social good. There is, instead, a spectrum of business structures to choose from. "I am structure agnostic: I believe that for-profit and nonprofit structures can both be good vehicles for improving society. You should look seriously at both as part of your toolkit as you're creating your new social venture." Fruchterman says that what structure you decide to use depends on your motivation, your market, your capital requirements, and how much control you wish to have. Wherever you come down on those issues, here are some of the current structural forms that you can consider for social good. Examples of for-profit structures that include social good among their goals include a C corporation, limited liability company (LLC), or sole proprietorship. A for-profit company can tap a large pool of investment capital. But because the social mission is not part of its legal structure, a for-profit, to do social good, must have a founder and a board that believe ardently in the cause. For a business, social good tends to be an add-on to the business mission, often in the form of corporate social responsibility programs. What are the advantages? There is a lot of precedent and best practices already out there for businesses and more societal pressure all the time to include social responsibility. Also, businesses have more avenues available for raising startup money. A business is easy to sell or close, while a nonprofit has to be liquidated and assets given to another nonprofit. The disadvantages of accomplishing social ends through a business include that the social bottom line is not built into the business and must be added through corporate social responsibility programs or corporate philanthropy. Additionally, a business doesn't enjoy the tax breaks of a nonprofit. It also has to focus on shareholder value and making a profit. A business cannot qualify for or accept foundation grants or tax-exempt donations. Nevertheless, as consumers demand more social responsibility from companies, more of them have seen the financial advantages of including social good as a goal. Indeed many companies have adopted the mantra of people, planet, profit to guide their actions. Consequently, we see more and more examples of for-profit companies that do social good such as D.light Design, which sells affordable solar-powered LED lights in the developing world; and ​Whole Foods Market Inc, which contributes 5% of its profits to charity. These types of organizations are for-profit organizations but with significant changes that allow for social goals. Older models include cooperatives and employee-owned firms. Some are new, such as benefit corporations (B Corporations) and L3Cs (low-profit limited liability companies). The advantages may be that these organizations do good yet enjoy the benefits of a for-profit. They provide a higher level of social goals. They may be able to receive foundation grants, and they can use their social orientation to enhance their marketing. Disadvantages may be that control is diffuse; the social overlay could be legally challenged; it may be difficult to find investors, and it is harder to dissolve than an ordinary for-profit business. Impact Makers (a non-stock company) which is a management consulting firm that gives all of its profits to charity. Some organizations combine a for-profit entity and a nonprofit into a hybrid structure. Sometimes the for-profit creates the nonprofit and sometimes it is the other way around. In this category, you commonly find corporations that have charitable foundations and nonprofit institutions that establish related businesses that earn money to support the nonprofit. The advantages to hybrid organizations include that creating a subsidiary may protect the nonprofit status of a charitable organization; the parent nonprofit may be protected from the liabilities of its for-profit subsidiary, and the subsidiary can be sold easily just like any business. The disadvantages include that it may be difficult for the nonprofit to diversify its income, especially if the for-profit part is the primary source of funding. There may be more overhead because there are now two organizations. Assets within the nonprofit are locked in and cannot be easily transferred or sold. It is also complicated to keep the two entities separate, and it may be difficult to maintain proper charitable restrictions. Greyston Foundationwhich founded Greyston Bakery, a Benefit Corporation. The Bakery features an "open" employment policy. No questions asked. Everyone who comes is given an opportunity. An excellent article about the hybrid organization is A New Type of Hybrid, Stanford Social Innovation Review (subscription required). Many nonprofits receive income from the sale of products and services. They include theaters, museums, and colleges, Any income earned through a museum's shop, or a symphony's thrift store must be used to further the organization's mission. The income can never be distributed to investors or shareholders, although it can be used to repay loans. The many advantages of this type of structure include that mission-related income is not taxed. The nonprofit can continue to raise money through donations and grants, not to mention the marketing advantage of the business's income going to support a charity. The disadvantages may be that there may be tradeoffs between two bottom lines, and acquisition of capital is limited to traditional nonprofit sources. An excellent example of a nonprofit with a mission-related enterprise is GoodWill Industries, which is a national network of nonprofits that operates recycling, product sales, and employment training services. 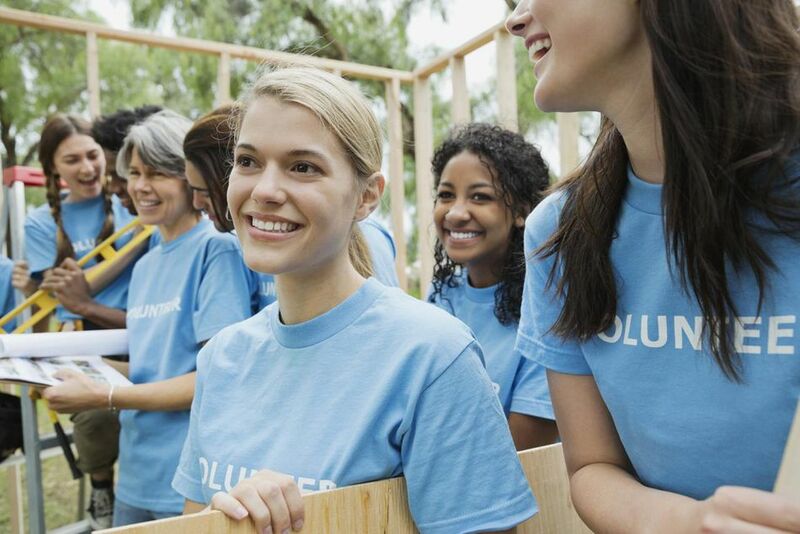 For a traditional nonprofit, the social mission is clear and unambiguous. Most income is raised through donations and grants, and there is no earned-income enterprise. The typical nonprofit is either a 501(c)(3) charity or a 501(c)(3) foundation. No conflict between venture and social objectives. Donors receive a tax deduction for donations that go directly to fulfill the social mission. The primary disadvantage is that a traditional nonprofit is dependent on fundraising to operate. Because many nonprofits have difficulty raising enough money in traditional fundraising, many have had to resort to business activities. Examples of traditional nonprofits are many, such as the Robin Hood Foundation and Mercy Corps. Another option for a start-up nonprofit is to affiliate with a larger one, rather like a franchise in commercial businesses. "Policymakers are responding to the changing times by embracing new forms of social action that fall between the two poles of tradional business and traditional charity. Expect to see new organizational forms exhibiting these increasingly hybrid characteristics....Both business and the social sector are going to change in these directions, and society will be the better for the change."